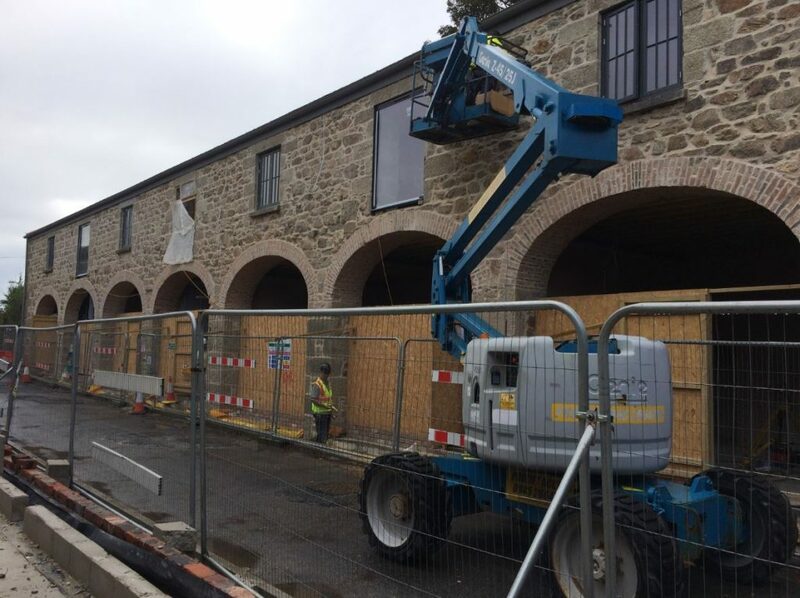 With autumn finally here I am pleased to say that buildings are now watertight; all windows are in and both roofs are completed the internal renovations are well underway with and the internal plaster work in nearly complete. 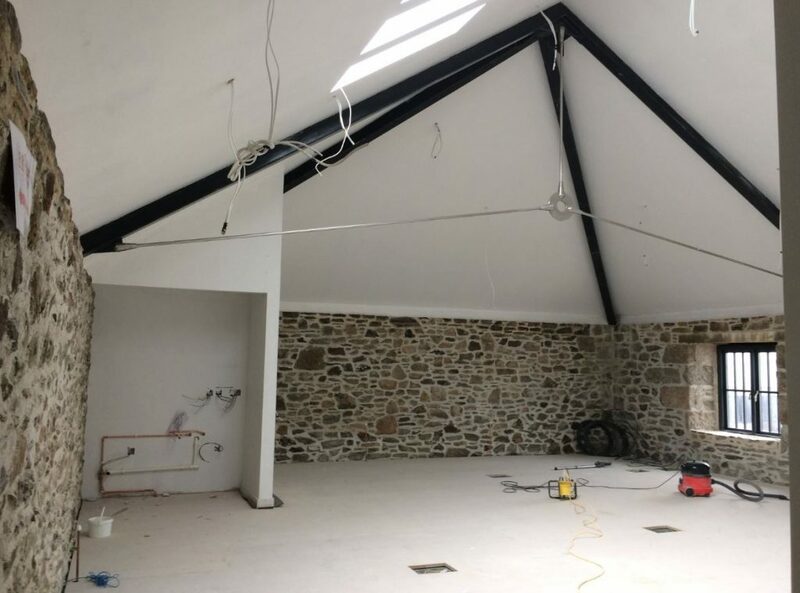 Work has also started on the Cart Shed; the ground slab down, the internal walls are up and the steel frame is on order and should be with us soon. 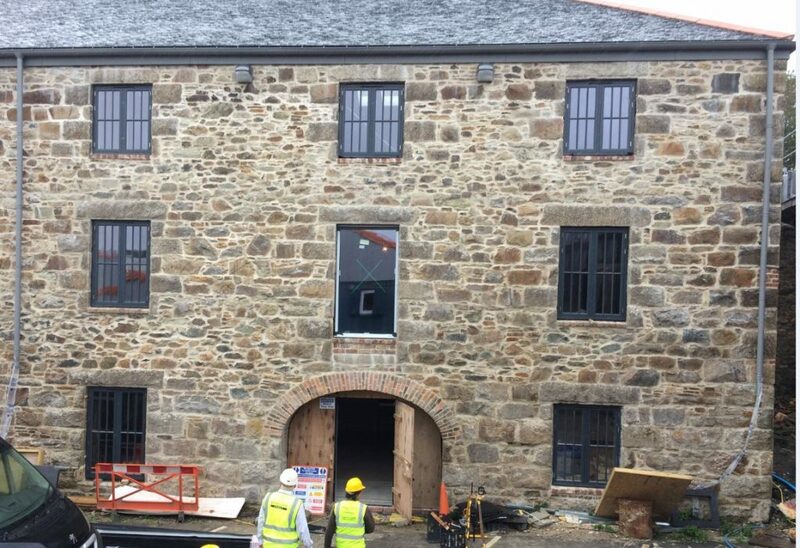 You can now get a feel for the spaces and they are looking great, we have cleaned and repaired all the granite walls and where possible they have been left exposed, where we have had to cover them they have been rag bagged with limewash. We are now starting to think about marketing the spaces as the units will be available to rent at the beginning of March 2018. There are 18 units in total each unit has its own kitchenette and toilet; the units vary in size from 344 to 732 square feet. We have a register of interest list open and will be having an open day at the beginning of November, this is a chance to come and have a look at a completed unit, if you would like to be put on our register of interest list or come along to the open day please contact Stevie on stevie@harveysfoundrytrust.org.uk.